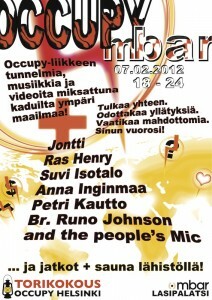 Occupy Helsinki organized a support event at a local bar. 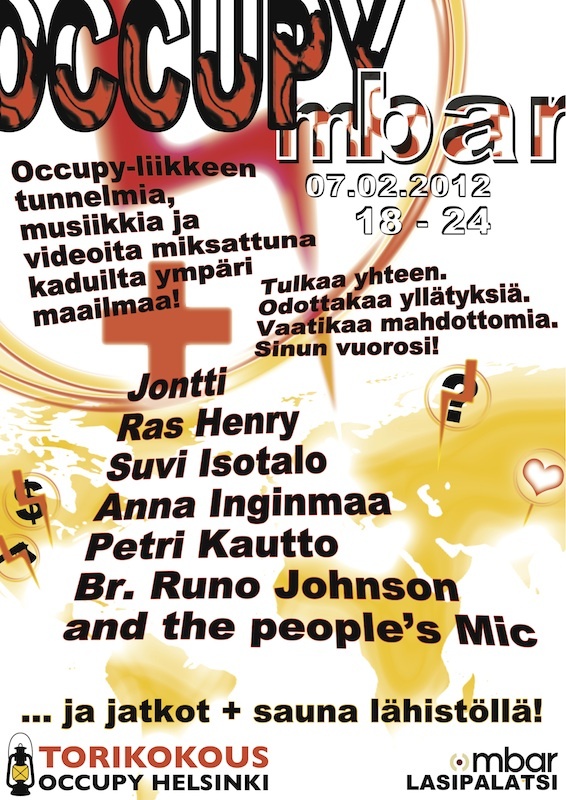 The event displayed audiovisual productions of the global occupy movement and brought the street atmosphere into a bar environment. The humanist objectives of the movement needed to be separated from the classical leftist visual style. 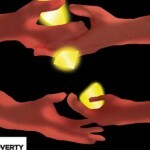 The occupy movement is non-violent and all encompassing struggle against selfishness – the themes the poster artwork conveys.